If you are completely new to mandalas, get ready for the journey of a lifetime! Once you start creating inside these sacred circles, you will embark on a magnificent, journey that will inspire and energize you for years to come. This is a journey which everyone can be part of, regardless of drawing or painting skill level. The word mandala comes from Sanskrit language loosely meaning “circle” or “completion,” which promotes peace and balance. 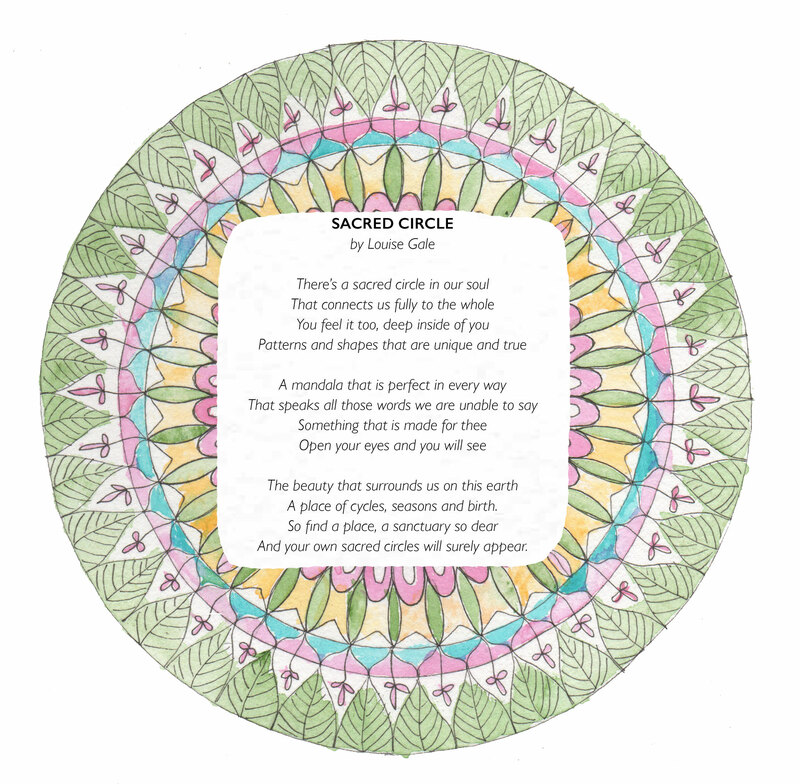 Mandalas can be used as a tool for self-reflection and are often used for meditation, relaxation and as art therapy to help patients tap into their sub-conscious. 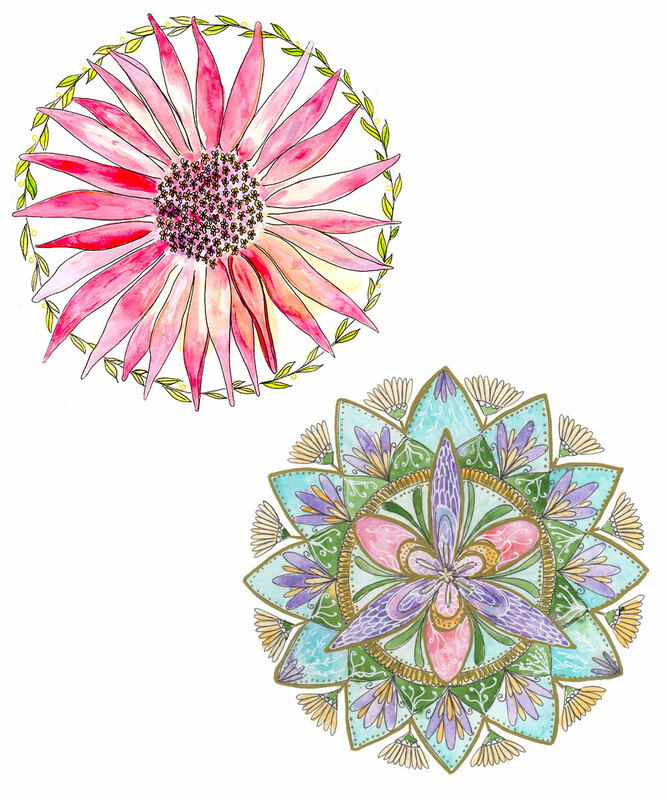 Drawing your own mandalas can be both inspirational, symbolic and therapeutic. The mandala is a symbol for the universe and as we explore our role within it, these sacred circles can give us a sense of belonging, connection and awakening. You will also find that your own personal symbols may appear on the page as you dive deeper into the process and open up your subconscious mind. The mandalas you create are messages between the conscious-self that you will call “myself” or “I” and the unconscious parts of yourself that are outside your awareness. Your mandala art is a conversation between yourself and the world around you. The natural mandala-like form of a single flower such as a rose, sunflower or daisy that already exists in nature. A more self-constructed mandala design with various floral motifs repeated out around the center point and growing towards the outer edge of the circle. We can constantly look to nature for inspiration for organic mandala designs and many of natures designs use sacred geometry and mathematical structures as part of the creation process. Nature really is the most magnificent designer when you start to notice these natural designs. Where a central starting point allows for a circular design to emerge from it, you will recognize it as a mandala structure. 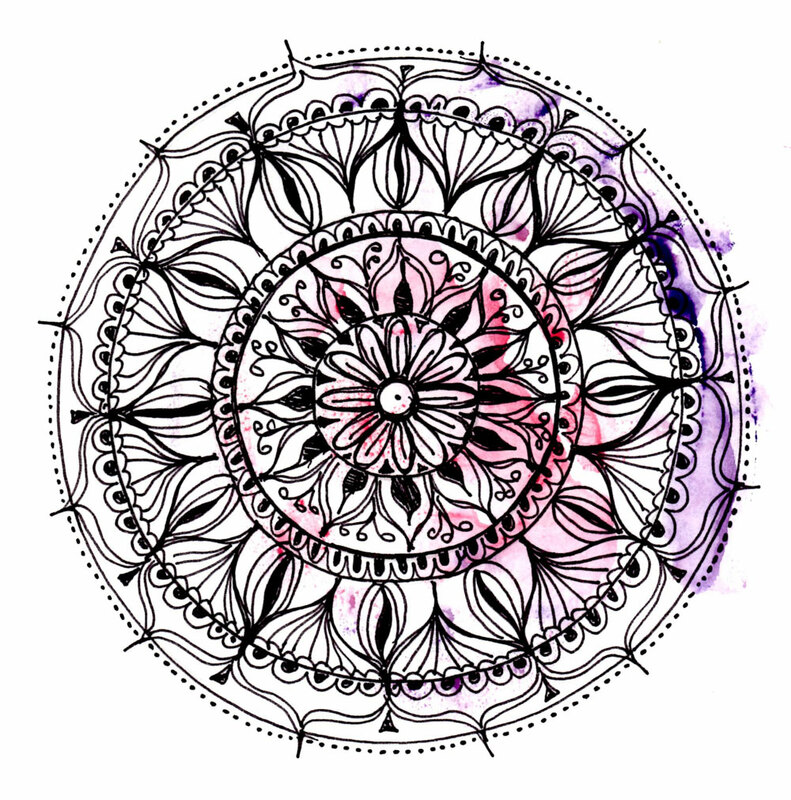 Mandalas allow you as the creator to capture a true self-expression in your artwork, this is why creating a mandala is so personal and unique to you. The joy is in the process itself, in the meditation and calmness that it creates, not necessarily in the outcome, so in my book ‘Botanical Mandalas‘, I invite you to focus on finding that joyful meaning in the creative process. Reconnect back to nature by taking breaks from technology and enjoy the calming energy that nature provides. 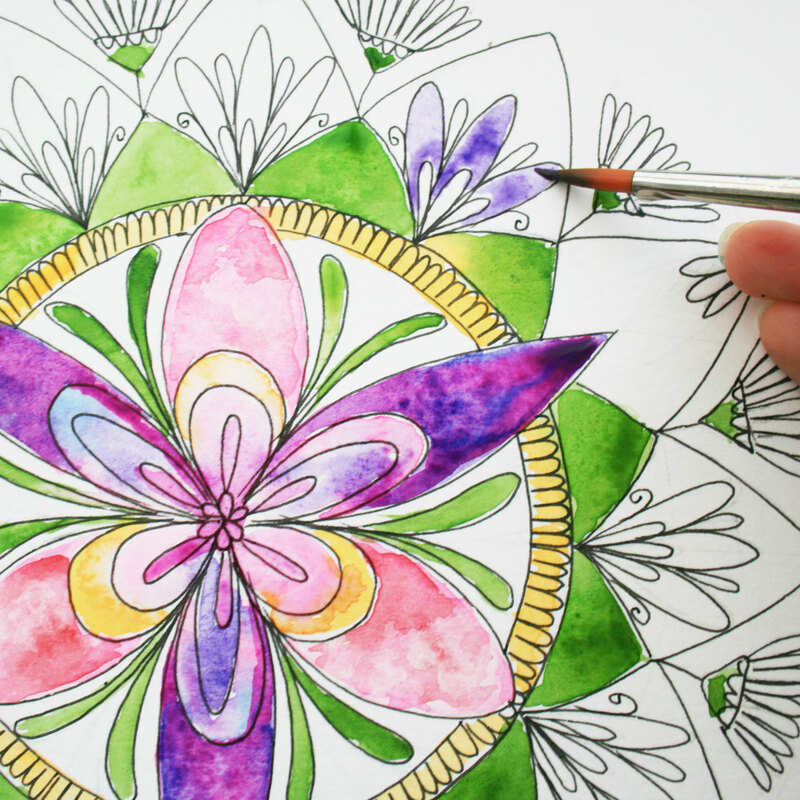 Reduce stress and enjoy the calming process that ‘Botanical Mandalas’ creates. I would love for you to find your own sanctuary in nature and cultivate your own creative expression through Botanical Mandala creating. Within my book I offer tools, techniques and opportunities to not only create beautiful mandala works of art, but for you to find your own way to connect more deeply with nature.